Why See KCRWs World Festival - Lord Huron, Shakey Graves? Celebrating its 20th anniversary, the longstanding collaboration between NPR music station KCRW and the Hollywood Bowl returns for another summer filled with the hottest acts in indie, R&B, pop and rock. 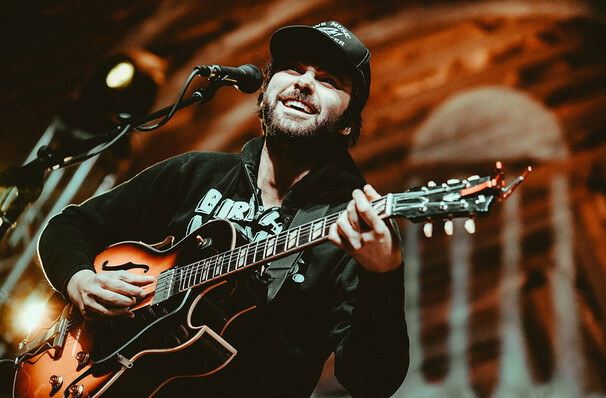 The KCRW 2019 World Festival continues with an extra special double bill featuring local Los Angeles indie folk heroes Lord Huron and Austin, Texas-based Americana bluesman Shakey Graves, hosted by KCRW's progressive pop champion Anne Litt. Riding the wave of indie folk in the early 2010s, Lord Huron emerged with an all together different blend of acoustic folk, noir-tinged pop, surf-esque riffs and hymnal beauty. The quartet hit mainstream success in 2014 with their Western-inspired sophomore album Strange Trails, followed by a feature on Jimmy Kimmel Live and the soundtrack of popular Netflix teen drama 13 Reasons Why. Fusing campfire-side storytelling with earnest lyrics and the heart of a travelling troubadour, Shakey Graves proves his generation's answer to Dylan thanks to his soaring fusion of blues, rock and folk with a one-man-band pioneering spirit. Sound good to you? Share this page on social media and let your friends know about KCRWs World Festival - Lord Huron, Shakey Graves at Hollywood Bowl. Please note: The term Hollywood Bowl and/or KCRWs World Festival - Lord Huron, Shakey Graves as well as all associated graphics, logos, and/or other trademarks, tradenames or copyrights are the property of the Hollywood Bowl and/or KCRWs World Festival - Lord Huron, Shakey Graves and are used herein for factual descriptive purposes only. We are in no way associated with or authorized by the Hollywood Bowl and/or KCRWs World Festival - Lord Huron, Shakey Graves and neither that entity nor any of its affiliates have licensed or endorsed us to sell tickets, goods and or services in conjunction with their events.